Ants, like all insects, have jointed legs, three body parts (the head, thorax and abdomen), a pair of antennae, and a hard exoskeleton. The exoskeleton is made up of a material that is very similar to our fingernails. Ants range in color from yellow to brown to red to black. The Small tiny little black kitchen sugar ants often discovered foraging in your kitchen are often lumped together under the name “sugar ant.” And while it’s true that sweet, … The common household ants infesting in your kitchen likely belong to one of four species of tiny ant: the little black ant .Killing Ants in the building with Chemicals Spot control is the best method for killing ants. They tend to concentrate in a small area and spot application isolates the chemical zone and minimizes damage to beneficial insects who also call the grass home. Ants treatments include bait, spray or granular form. Locate the nest and apply the chemical as indicated on the label. Granular forms require activation with water, so it is best to irrigate after applying the chemical. In all cases, wait until a treated area has dried before allowing children and pets into the toxic zone. Ants can be a blessing and a curse, so consider the severity of the problem before resorting to chemical treatments. Their activity is also a natural pest control and can increase the tilth of soil, acting as wild aerators to loosen the dirt around roots and enhance growth. Pavement Little black sugar ants are one of the most common species in the U.S. So common, in fact, they are often not viewed as much of a nuisance…until they decide to invade your outdoor picnic. Pavement ants earned their name due to their tendency to burrow under sidewalks, driveways and building slabs, piling the resulting dirt in mounds on top of the pavement. What do pavement little black sugar ants eat? 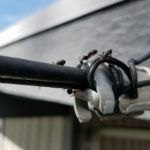 Because pavement little black sugar ants often live beneath the foundation of a house, homeowners need to make sure that all external cracks and other small openings are tightly sealed. Residents should also keep potential nesting sites, like piles of leaves and wood, safely away from the house. Kitchen areas within the home should remain free of crumbs, grease, and standing water. Homeowners also need to store food items in sealed canisters, rinse out food and beverage containers before throwing them away, and take the trash out on a regular basis. If an infestation problem arises, contact a pest control specialist with the ability to identify the ant species and implement an effective course of action. 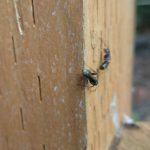 Ants Control Removal Kill Spray management professional has the education, equipment and skills necessary to effectively address a ant problem. Finding and treating the ant colony can be challenging, especially if the main colony is hidden somewhere outside in the lawn. 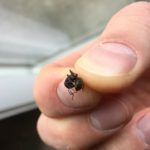 A pest management professional provides their expertise to identify and determine the best possible solution to resolve the ant infestation.